I discovered the Sharklab on TV, in December 2012 and immediately decided to apply there for my master’s thesis. I started volunteering as a project student in June 2013 and finished my project in December the same year. 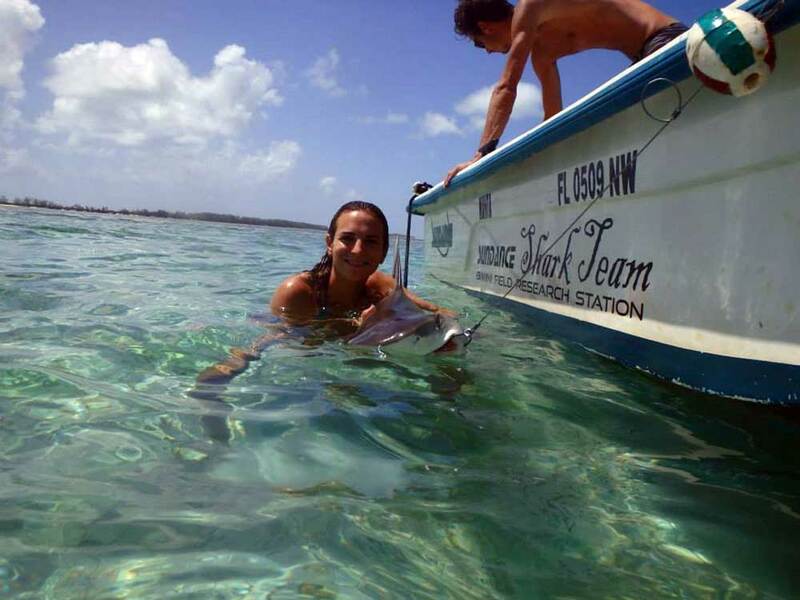 My experiment, investigating habituation and personality in juvenile lemon sharks, was a part of Jean-Sebastien Finger’s PhD. I fell right in love with my project as it was the perfect recipe for me: a handful of animal behaviour, a sip of ocean, a pinch of adventure! Meeting Doc for the first time was really intimidating for me: He was a giant and I was an ant, I spoke bad English, and, not to make anything easier, he was in a relatively bad mood… I hesitated a long time before trying to go talk to him but my first opportunity was right around the corner. I went on a field trip with him and two other volunteers during a few hours and I started asking him questions. Doc is full of crazy stories about a certain Mexican boat, anecdotes about sharks, tales about Bimini… But as the stories are going on, if you listen closely enough, you realise than they’re more than just stories: they are lessons! After that one afternoon, I tried my best every evening to sit not too far from Doc and to keep my ears ready for more stories. This week, listening to Doc carefully, left me full of dreams and ideas. The Shark Lab, There are so many stories that I could tell about this incredible place. People that haven’t been there think that the Shark Lab is all about the sharks, I would say that the Lab is also all about the people… This place is an incredible community where the saying “crammed like sardines” makes all its sense. You share your dormitory with people from all over the world, play everlasting card games in the evenings, share your meals with 20 shark enthusiasts… You even get to become all sorts of (more or less useful) things: I came as a French project student, and left as an official hairstylist, mopping specialist, poker champion, and eventually as a scientist. 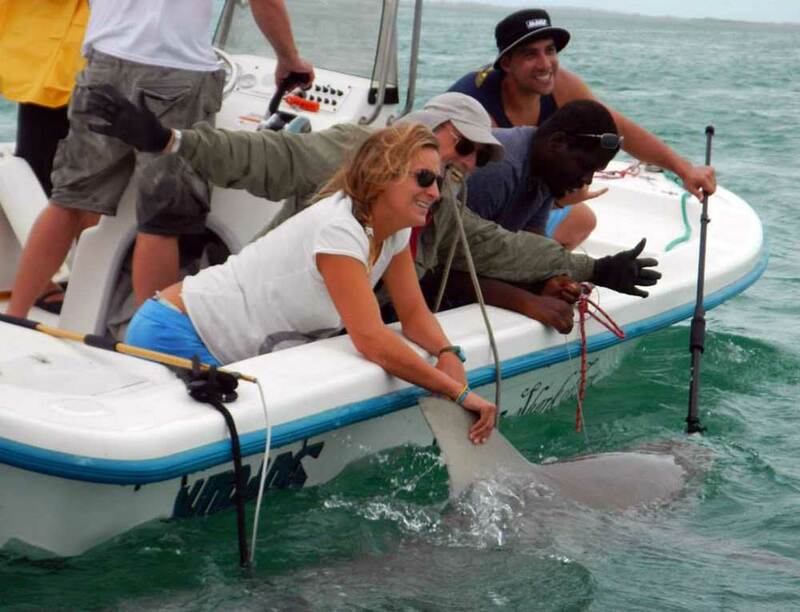 By accepting me as a project student, the Shark Lab team gave me the opportunity I needed to become a shark behaviour scientist. I first arrived at the lab fearing that I won’t be good enough, and finally managed with everybody’s help to get my project going. As soon as the project started, I felt the urge to keep doing science and the Shark Lab gave me a chance to fulfil this dream. Having been accepted to the Shark Lab as a PhD student is one of the things I am most thankful for in my life, and my future has never looked so bright.